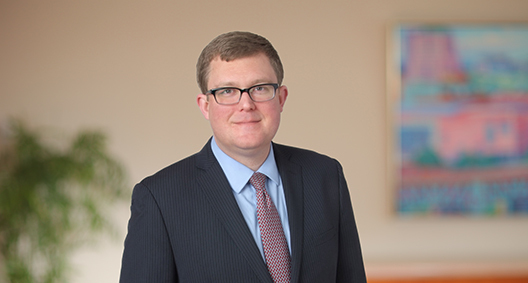 Adam Fletcher practices in the areas of bankruptcy, commercial litigation, banking regulatory law and creditors' rights. He approaches his engagements with a focus on his clients' needs and expectations in order to assist his clients in achieving their long-term goals. Represented the Federal Deposit Insurance Corp. (FDIC) in its corporate and receivership capacities in bankruptcies of several failed bank holding companies, including litigation regarding a large capital maintenance commitment under Section 365(o) of the Bankruptcy Code, disputes between the FDIC receiver and bank holding companies over ownership of substantial tax refunds, pursuit of specialized fraudulent transfer and preference claims under Title 12 of the United States Code, and defense of fraudulent transfer claims relating to capital contributions made to banks by their holding companies. Assisted with briefing, depositions, trial of complex financial litigation and bankruptcy appellate practice. Represented the FDIC as receiver for a failed bank in defense of a case alleging that the receiver improperly denied a claim for indemnification under a mortgage servicing rights sale agreement. Assisted with briefing and negotiations. The case was dismissed. Represented a number of large aerospace manufacturing clients in several airline bankruptcies, including filing and negotiating the allowance of claims, handling issues related to the assumption and rejection of executory contracts, and analyzing plans of reorganization. Represented the post-confirmation creditors' trust of a reorganized public utility company in litigation with a large municipality in a subsequent new Chapter 11 bankruptcy of the debtor public utility company, including handling derivative standing issues and specialized issues relating to Chapter 22 bankruptcy. Assisted with briefing, hearings and bankruptcy appellate practice. Involved in representing Irving H. Picard, the Securities Investor Protection Act Trustee for the liquidation of Bernard L. Madoff Investment Securities LLC, in connection with BakerHostetler's role as court-appointed counsel. Represented a Chapter 7 trustee regarding unwinding a complicated Ponzi scheme, including motion practice to enforce the automatic stay and negotiating settlements to resolve lien priority disputes and the division of proceeds with respect to real estate and receivables. Assisted a nonprofit buyer in diligence of and bidding for assets of a bankrupt nursing home pursuant to Section 363 of the Bankruptcy Code. Represented an individual business owner in the defense of state court litigation and out of court workouts relating to personally guaranteed business debts. Negotiated numerous settlements for the client, resolving pending litigation and avoiding the need for the client to file personal bankruptcy. Represented the administrative creditors committee of a large bankrupt steel company in derivative litigation against former officers, including claims for breach of fiduciary duty and deepening insolvency. The case was settled, resulting in full recovery for the administrative creditors. Represented the former owner of a hotel property in litigation with a bankrupt purchaser over ownership of funds escrowed to cover a pension withdrawal liability under the Employee Retirement Income Security Act. Represented an oil and gas producer and its affiliated midstream company in the bankruptcy of another oil and gas producer from which the client had purchased substantial amounts of real and personal property interests prior to the bankruptcy without receiving deeds for those interests, including through motion practice to block an attempted sale of those same interests by the bankruptcy trustee under Section 363 of the Bankruptcy Code and to compel the bankruptcy trustee to deliver the deeds for those interests pursuant to Sections 365(b) and (i) of the Bankruptcy Code. The client ultimately obtained the desired deeds from the bankruptcy trustee through a negotiated resolution.